Face it: golf balls pretty much all look the same. Break free from this sea of anonymity with Tin Cup. 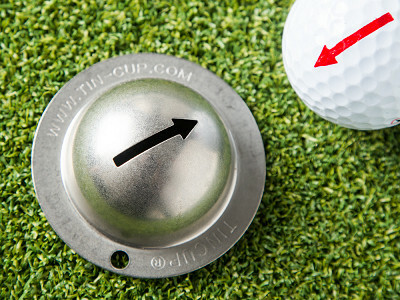 Tin Cup is a ball marker that lets you personalize the golf balls you use. 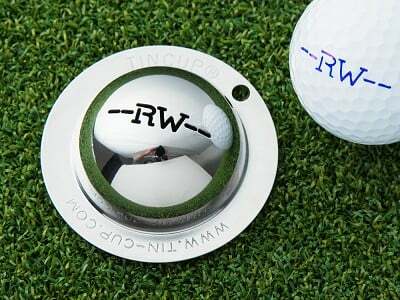 The distinctive design on each Tin Cup marks your ball in your own unique way. Choose a picture or even a monogrammed initial. Made in the USA of stainless steel, each Tin Cup is guaranteed for life. 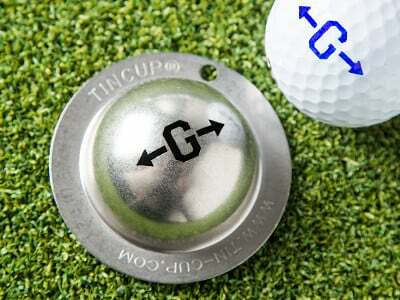 To use it, simply hold the Tin Cup stencil snugly against the ball and color in the design with a marker. Just like that you’ve got a ball that’s uniquely, recognizably yours. Our first thought when we saw this product? 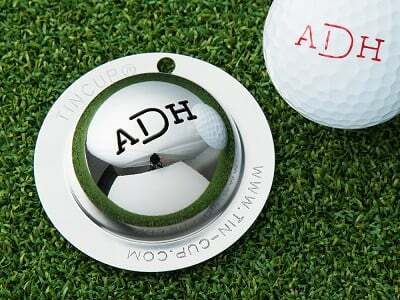 What a great gift for the golfers in our lives. It even comes in a leather pouch that works great for gifting. 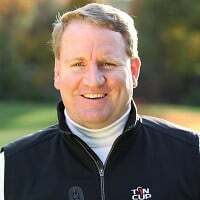 Founders (and passionate golfers) Cabell Fooshe and Nick Green wanted to help players spend less time buying new balls and more time having fun on the course. 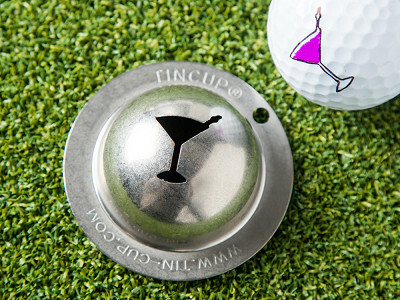 Stand out from the rest of your foursome with Tin Cup. I am Cabell Fooshe the founder of Tin Cup. 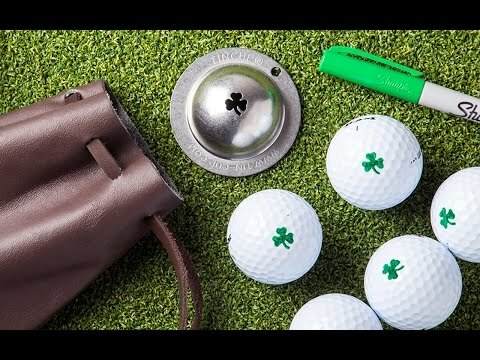 My product is a new solution based off of USGA Rule 12-2 that states all golfers must be able to "identify their ball" during play, the tin cup is a unique way to personalize each player's golf ball so you know exactly where your ball lands everytime! Do y ou make similar stencils for everyday items like my hand and power tools? @ChristopherHi Christopher, well...we don't make stencils for hand and power tools now... but that's a great idea! We have toyed with making stencils for baseballs but never thought about tools. We'll discuss! Thanks for your inquiry. @Cabell baseball and softball stencils would be awesome. Great video @Maggie! This is a great idea and an elegant solution Cabell - I am definitely going to gift this! @Anna Thank you Anna for your kind words - Tin Cup makes the PERFECT gift - and it's a great time to order - Mother's Day, Father's Day and Graduation season will all be soon upon us! Thanks @Anna! Tin Cup is going to save me some serious time debating between golf balls as I dust off my golf game later this Spring. Now for the hard part of deciding which design to choose. Personally I'm going with the clover. I'm then going to add a fourth leaf because it will be an absolute miracle if my ball makes it on the green. @Mike Ha - We understand completely Mike. Most of us need a little luck on the golf course! And BTW we do carry a 4-leaf clover...it's called Luck O'the Irish...! Definitely going to need that one! 3 leafed clover, got it! I can smell the birdies now. Cabell how can I contact you by email? @Holly Hi Holly, we are so grateful for your inquiry and will be in touch with you shortly. Hi Holly, contact The Grommet community experience team here to get in touch with Cabell. Where can we see all of the designs... I only see the 6 that are up there? Thanks! Great Idea!! Sometimes the best ideas are the simplest ones! Hi Tony, if you want to see more options, contact our Community Experience team here and they'll get you in touch with Cabell for more designs. Face it: golf balls pretty much all look the same. Break free from this sea of anonymity with Tin Cup. 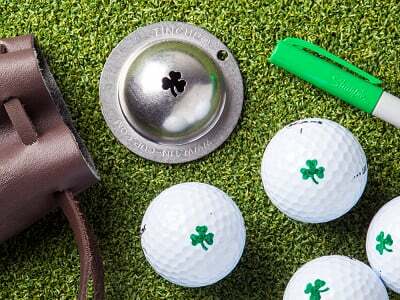 Tin Cup is a ball marker that lets you personalize the golf balls you use. 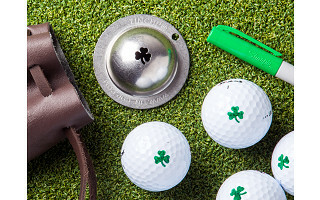 The distinctive design on each Tin Cup marks your ball in your own unique way. Choose a picture or even a monogrammed initial. Made in the USA of stainless steel, each Tin Cup is guaranteed for life. 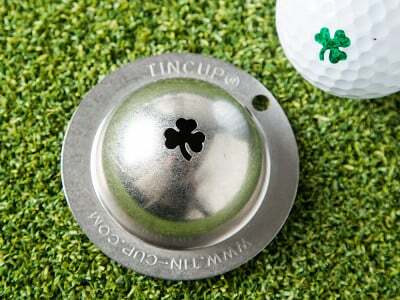 To use it, simply hold the Tin Cup stencil snugly against the ball and color in the design with a marker. Just like that you’ve got a ball that’s uniquely, recognizably yours. Our first thought when we saw this product? 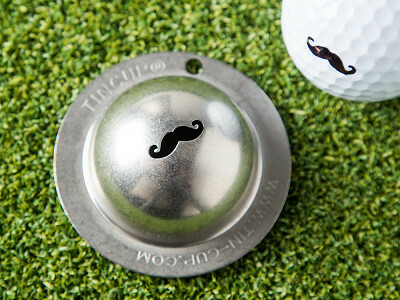 What a great gift for the golfers in our lives. It even comes in a leather pouch that works great for gifting. Founders (and passionate golfers) Cabell Fooshe and Nick Green wanted to help players spend less time buying new balls and more time having fun on the course.